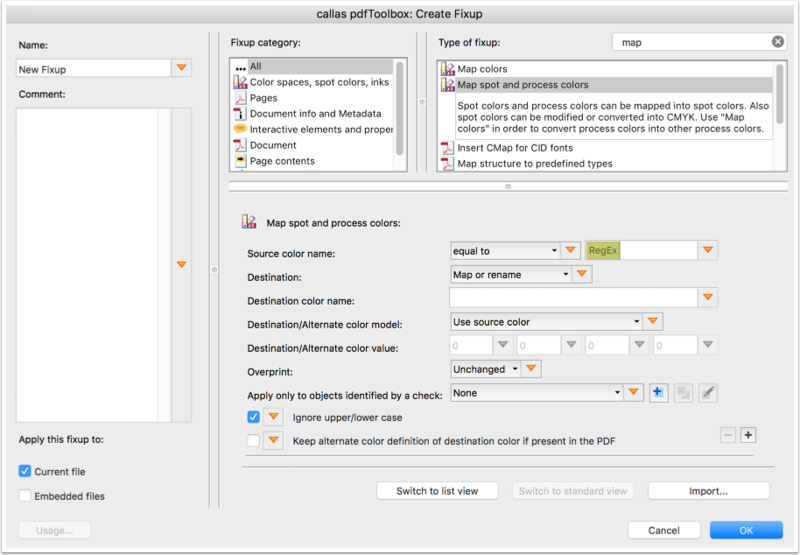 Using the fixup 'Map spot and process colors', you can map spot colors and process colors into spot colors. Also spot colors can be modified or converted into CMYK. While doing so, you can import a color 'Swatch' file using the Import button in the bottom right corner. 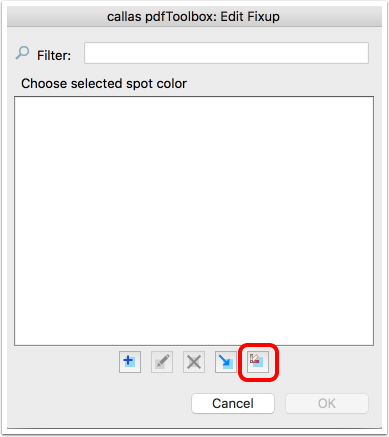 Click the rightmost button in order to import spot colors from standard spot color libraries. Next, you can browse and select an ASE file. A file with the ASE file extension is an Adobe Swatch Exchange file used for saving a collection of colors accessed through the Swatches palette of some Adobe products like Photoshop. The format makes it easy to share colors between programs. 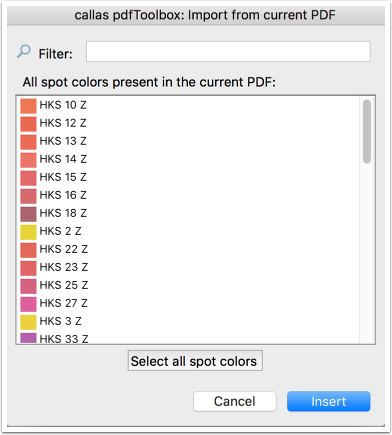 After importing the ASE file, you can insert the spot colors present in the current PDF file to the fixup. 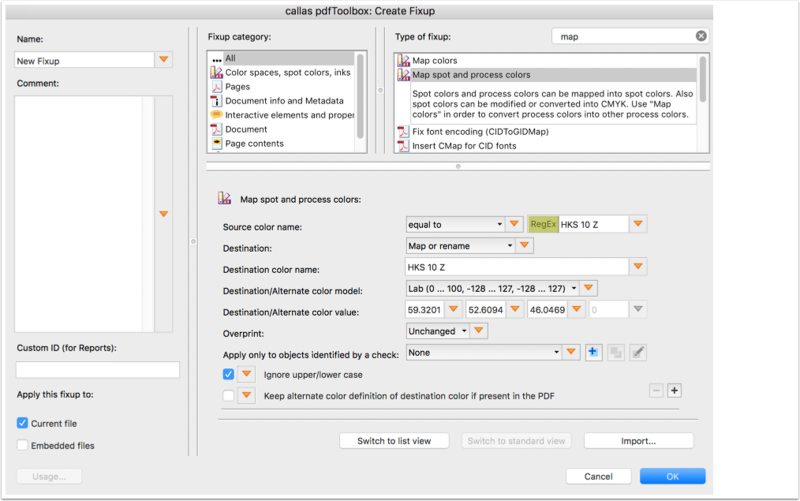 Select one or more spot colors from the 'Edit Fixup' window and click OK. 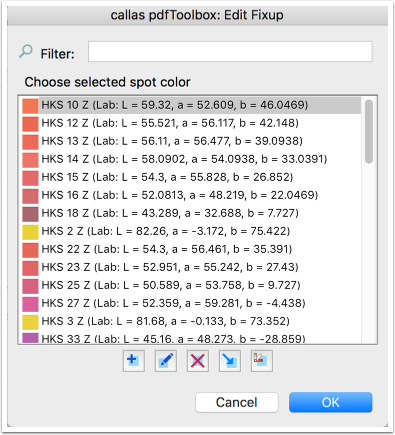 Note that the colors from the ASE file will be added to an internal spot color library. Voila! The color has been shared to the New Fixup using the Swatch file. Select the colors to be added to the fixup from the list.